Comfortable 1 bedroom suite with full kitchen was GREAT. I was very pleased with this stay. Excellent Room. Cupboards were a bit lacking but otherwise great place. Would like to revisit with a room including a sunny balcony. Florida is a state in the south-east of the United States of America. It borders the Atlantic Ocean to the east, the Gulf of Mexico to the west and Alabama and Georgia to the north. Tallahassee is Florida's capital city, while the biggest city is Jacksonville. Other main cities in Florida are Orlando, Miami, St. Petersburg and Tampa. The Travellers Guide has a selection of hotels, guest houses and bed & breakfast holiday accommodation in Florida, listed below. Please view our hotel offers page for the latest "early booking", "free night" and "spa break" special offers for a range of hotels in Florida. The climate in Florida ranges from subtropical to tropical, which is why it is also called the "Sunshine State". The famous Everglades national park and the Walt Disney World Resort are located in Florida, as well as several other water and theme parks. Plenty of shopping and nightlife opportunities can be found in Florida's cities. This Florida apartment is just 2.2 miles from Atlantic Beach which sits along the Atlantic Ocean. It features a private patio, free Wi-Fi and a fully equipped kitchen including an oven. Nestled near the ocean in Key Largo, Florida, this hotel offers entertaining facilities near a range of recreational activities such as boating, swimming and more. This historical Miami Beach hotel is 14 miles from the Miami International Airport. The hotel features 24-hour concierge service and provides a fully equipped kitchen in every suite. Cottages by the Ocean is a community of studio and one-bedroom cottages just two blocks from the beach. All have patios with BBQ facilities and views of the lush gardens. Located in Orlando, Florida, this resort features a spa, a Junior Olympic-size pool and a salon. 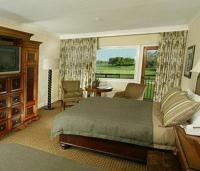 Guest rooms include a flat-screen TV and free Wi-Fi while Disney World is 6.5 miles away. This Sarasota hotel is only a 10-minute drive to Siesta Beach and Myakka River State Park. 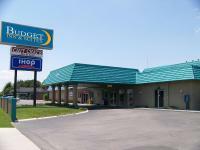 This Comfort Inn features an outdoor pool and all rooms include a microwave and refrigerator. This downtown Miami apartment community, less than one mile from the Atlantic Ocean, offers one to two-bedroom apartments with balconies and kitchens. Camden Brickell features an outdoor pool and gym. This oceanfront hotel in Panama City is 1.5 miles from Frank Brown Park. 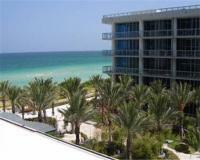 The hotel offers spacious suites with a full kitchen and private balcony with Gulf of Mexico views. Beachcomber by the Sea features an oceanfront swimming pool and jacuzzi. With convenient services and on-site dining options, this small, art deco style hotel is set in the centre of Miami's Art Deco District, just one block from the beach. The Beachcomber Hotel features a continental breakfast every morning. This 2-storey hotel is a relaxing escape in Winter Garden, situated just minutes away from exciting Orlando attractions, including Walt Disney World, Universal Studios and SeaWorld.